There is just something special about the Rock Island Grand Prix, and it likely comes down to its uniqueness among the list of top national karting events in the United States. The race is run like a well-oiled machine thanks to years of dedicated service by a passionate management team and their hard-working crew of corner workers. The format is certainly its own, featuring just two days of racing that provides limited track time in which to get things dialed. The course layout, while simple in design, requires a precise set-up, loads of corner speed and a little courage. And last but not least, the location and atmosphere surrounding the track make it one of the biggest parties in American karting. It’s a destination race, to be sure. And all these attributes are what make it one of the favorites of the EKN staff. That said, David Cole and I have been bantering back and forth for several years that we needed to get out on-track together, to go head-to-head at the Rock. We’ve both had the chance to run the Rock on a couple of occasions, but never at the same time. I’ve participated in the event three times, running in both the Masters Shifter and TaG Master classes in the mid-2000s. My last run was in 2005 in the 125cc Masters aboard an RBI chassis with Richie Buxman’s crew, and we had a solid run going in eighth position when I ‘booked it’ into the haybales in turn four. Before that, I logged my best career finish of sixth in TaG Master on a Margay, with Keith Freber himself on the wrenches, back in 2004. Cole’s has much more recent experience, finishing an impressive ninth last year in Briggs LO206 in our Birel ‘Affordable Karting’ project kart. You’d have to go back to 2006 for his next run, which was in TaG Master on a Top Kart. This time around, we’re both focusing on the Briggs LO206 Medium class, which promises to have 30+ racers thundering around the Rock’s six-turn layout. We finally decided that this year would be the year…the year we’d get out there together to do a little racing. Back when we produced Shifter Kart Illustrated, we’d chronicle these racing adventures through our OnTrack editorial features, which highlighted the team and the equipment, as well as our performances. We’re going to bring this back to EKN, as both David and I will highlight our Rock Island adventures and the operations that put together our rides for the weekend. It’s going to be a ton of fun. Here’s a little look at what we have going for this year’s edition of the Rock Island Grand Prix. A weekend at the track rarely goes by without someone in the paddock offering up a kart for me to run. It’s tough, as while I’d love to take them up on the offer, I have a narrow focus at national events, and that’s to provide in-depth play- by-play and race reporting. DB Motorsports’ Brian McHattie has likely been the most persistent of the bunch, always letting me know that a kart would be waiting for me if I wanted to get on-track. Well, after stating that Cole and I were going to run Rock Island, Brian was quick to confirm that I’d be under his tent. It was a ‘go’ on my end, because everything McHattie does is first class, from his tent and his team, to his shop and his decal business. I like that. I’ll be rolling in a new DB-prepped Exprit Noesis, which the 30mm OTK frame. The pre-race prep will see a baseline set-up that has the kart completed with the standard N axle, medium length hubs and neutral factory setting front-end geometry to give us some tuning adjustability. The kart has seat struts on both sides of the seat to plant the rear, and I’ll be running MG Yellows on all four corners. As a street circuit, Rock Island is historically low grip throughout the weekend, as the rubber takes a little while to go down, so we’ll want to be able to tune for maximum grip as the event unfolds. We’re working closely with David Klaus from Briggs & Stratton as well, so we’ll also provide some tips for getting the LO206 prepped from the shipping box to the frame rails. That will come in the post-race OnTrack report. The LO206 has been mated to a 5-degree engine mount, and we’ve bolted on a new Draggin Skin clutch to transfer the power from the output shaft to the drive gear. We’ll connect the clutch and the axle with 219-pitch products from AJ Whisler of Holeshot Drive Systems. Whisler’s a former 125cc Shifter winner at the Rock, so we’ll take a little of his mojo for my LO206 kart, and I trust in the quality of his products. McHattie will cap things off with a new decal package that he produces through DB Motorsports. Brian uses only the highest quality inks and material, and his designs are always slick and cutting edge. At the very least, I’m going to look good. I’ll get my first chance to slip into the seat of my new ride on Friday afternoon when I arrive in Rock Island. I’ll be posting a column on the site throughout the weekend, keeping everyone updated on how things go. Hope to see many of you there! This will be my fourth time racing at Rock Island and I’m pretty exciting to be getting back on-track. My first two experiences at the Rock were TaG machines, but my last outing was running the four-cycle. Last year, I took part in the inaugural race for the Briggs and Stratton LO206 engine thanks to the support of David Klaus. This spec engine is the perfect entry-level package for a rookie or even a seasoned club racer. Prior to the race last year, we took the engine out of the box that it came in, bolted on the necessary parts to make it a race-ready engine, and strapped it to the HMG Motorsports Birel that we had prepped in the garage. With no prior testing, we qualified seventh in wet conditions and I went on to finish ninth in the main event after falling outside the top-20 at the start. Around Rock Island, it’s flat out in the LO206, so it’s all about finding the right gearing and chassis set-up, along with having a driver who makes the correct decisions behind the wheel. While this is my fourth time at the Rock Island GP, it still stands as the one chance I get to race alongside many of the people I watch throughout the season as the EKN News Desk Manager. When you are locked up in the scoring tower from 9:00 am to 6:00 pm on Saturday and Sunday, you don’t have time to get the chance to understand what the drivers are talking about regarding the track and the conditions, so this will be fun. This weekend, I get to do both, as I’m still be handling the EKN Trackside Live coverage in addition to racing. In 2012, I had the assistance of my father – who is also returning as a driver – to help me out with the kart while I had to work. 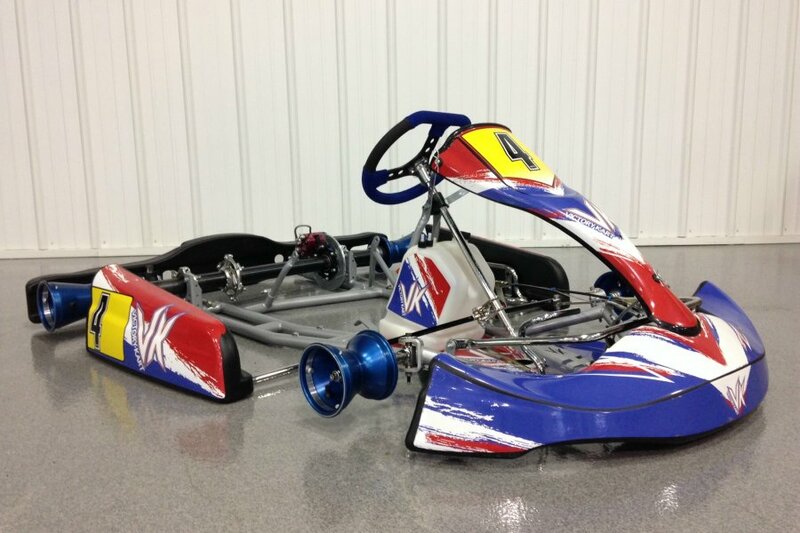 This time, I’m teaming up with McLaughlin Motorsports and Victory Karts. 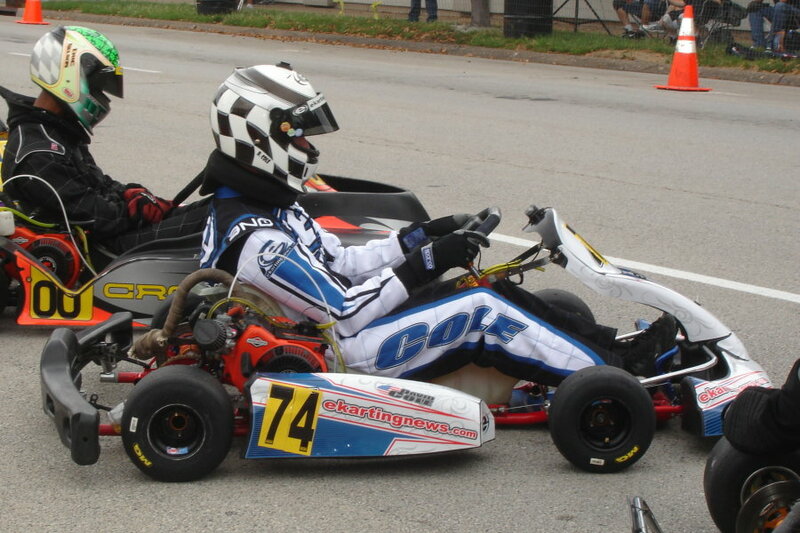 With over 40 years in the sport, McLaughlin Motorsports is passionate about karting. Team MKP helped to guide Birel to numerous victories in recent years in WKA Manufacturers Cup Series competition and events throughout the eastern half of the country. 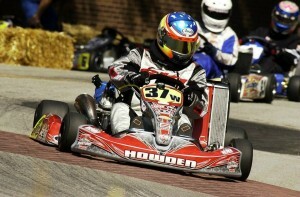 Now, the operation has formed Top Kart USA, headed up by Bill McLaughlin Jr. He, along with the solid staff at the Indy-based company, have helped the Top Kart brand experience even more growth and success through the 2013 campaign. Through that passion at McLaughlin Motorsports came the creation of the Victory Kart. Manufactured in late 2011, the chassis was developed for the American market to work on any track in any conditions, at half the price of European-made karts. 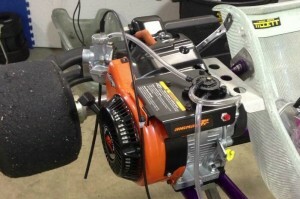 The Victory Kart is similar in construction to most karts on the market, and offers the basic chassis adjustments needed to fit the driver or conditions offered on any given day (caster/camber and ride height at both ends). The chassis has gained solid results, including a podium finish at the 2012 Rock Island Grand Prix in Yamaha competition. My ride has been put together by the one and only Chris Wheeler, a unique and dedicated figure in the motorsports paddock. He, along with the rest of the McLaughlin Motorsports/Top Kart USA operation, will provide support throughout the weekend as we hope to bring Victory Kart to the front of the field. 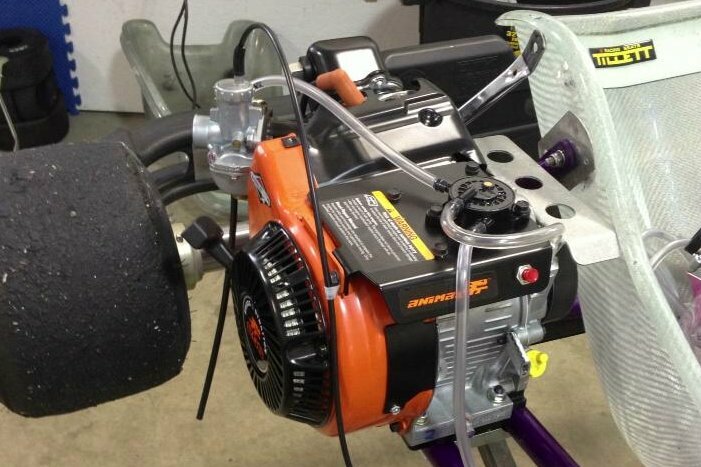 I, along with my trusty LO206 engine from Briggs and Stratton, will meet up with the Victory Kart on Friday afternoon when we arrive in Rock Island. I will be posting updates during our build and preparations on Friday, and throughout the weekend as the event transpires. Stay tuned! I have $20 on Howden. Hey Gary – did Cole ever pay for out on this bet? Heck no Cole never pays up on any bets. What do you accept from a guy that lives in Michigan though?